A combined Mother Daughter Book Club and Books for Boys meeting for this book was held October 12, 2017, at 6:30 in the Community Room. Book club reading copies were available for checkout from the circulation desk about a month prior to the meeting. Harry Potter has no idea how famous he is because he’s being raised by his miserable aunt and uncle who are terrified Harry will learn that he’s a wizard, just as his parents were. But everything changes when Harry is summoned to Hogwarts, a school for wizards, and he begins to discover some curious clues. 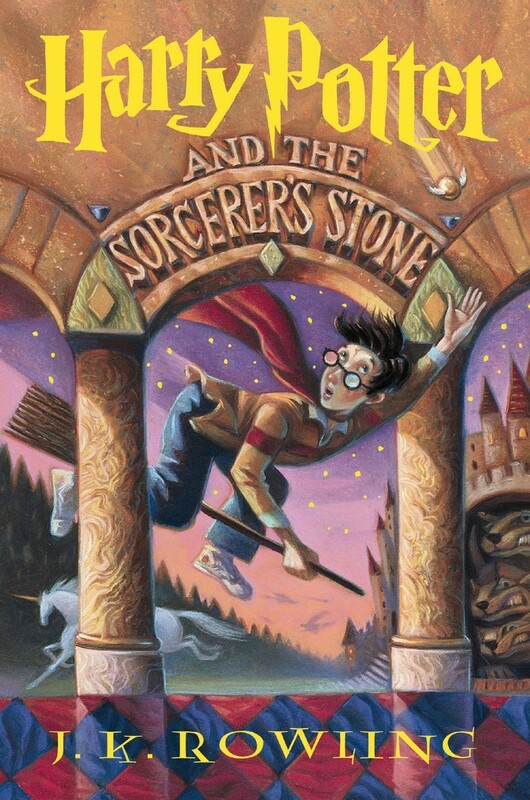 As he is greeted by a lovable giant, introduced to the unique curriculum and colorful teachers, Harry finds himself drawn deep inside a mystical world he never knew existed and closer to his own noble destiny. Vivian rated it ★★★★ and said “When I first read this (14 years ago!) it was the first book I’d actually enjoyed for a long while…. The thing about Harry Potter was that he too had plenty of problems but they were presented in such a fantastic way that plowing through them with him was engaging to the reader. The author was able to side-step what I call “the Emperor’s New Clothes” syndrome and actually address topics silenced by “p.c.” (Political Correctness) by dressing them up in new attire. Many adults object to children being okay with “witches” and such, but taking that path opened up so many other paths for the writer (and reader) to explore. Since my first reading I’ve read this and the subsequent titles aloud to my children several times. Each time we stop and talk about the character’s choices and the consequences of the choices (not in a didactic hammer sort of way, but simply as a puzzling-it-out way). The books have served as vehicles for sharing personal and family and cultural values.